New online customers only, min £10 stake, win only, min odds 1/2, free bets paid as 3 x £10, 30 day expiry, free bet/payment method/player/country restrictions apply. 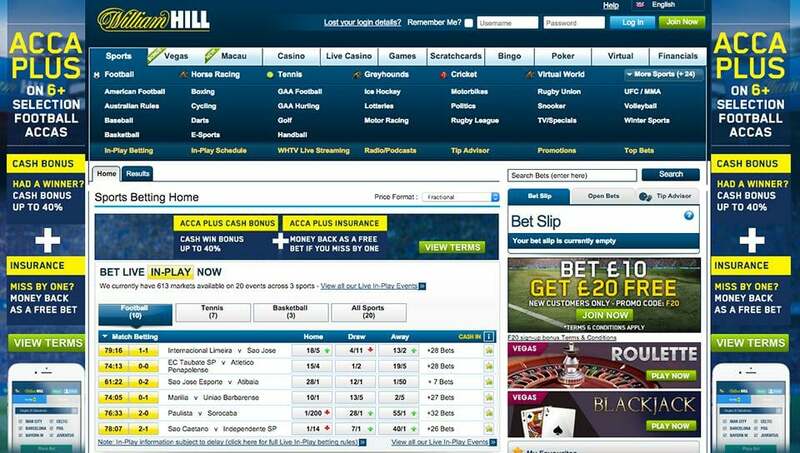 William Hill is one of the largest bookmakers in the UK. It is listed on the London Stock Exchange and it is thus a company that one can trust. It has been open since it was founded all the way back in 1934. It offers betting by phone and on the Internet, as well as all the local bookmakers found on British Islands. This is in addition to the online casino games, skill games, online bingo and poker that they offer to its customers. There are several reasons why you should signup with William Hill. William Hill has ran its operation for a long time, and that includes their online casino and sportsbook. Since they launched their site back in 1998, they have always strived to serve the customers to their best efforts and this has shown in their amount of events offered to bet on. Their focus is on the most popular British events, like football, rugby, horse racing, but they have added more events as the customers ask them for it and now include most anything in the whole world, including cricket. When it comes to the odds offered, not many bookmakers beat William Hill. They strive to serve the best numbers to their customers so they have the chance to make huge wins at their sportsbook. Having William Hill in your arsenal when you are betting on sports is a must for anyone. They also offer other games to gamble on. Poker, bingo, casino, lotto, skill games, backgammon and many other online games are available. You can use the money you deposit on any of these games, including betting on sports through the same wallet, so no need to make different accounts and deposit at each one. Will Hill is part of the iPoker network which hosts many other famous sportsbook sites and they are known to be offering large tournaments for players interested in playing those. 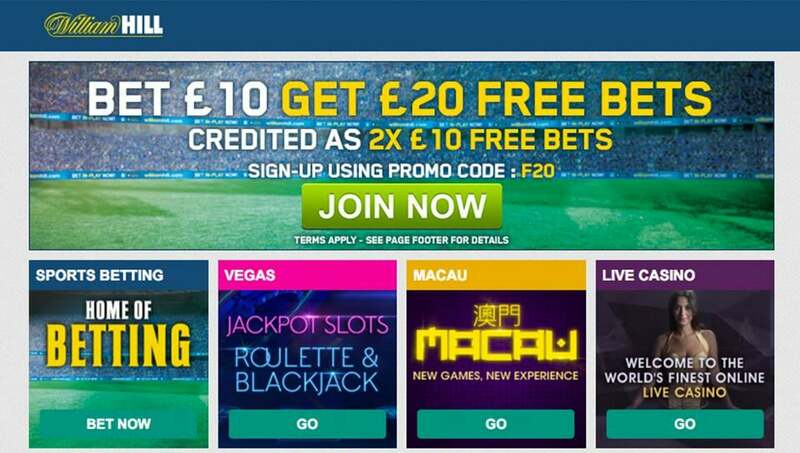 When you signup with the William Hill sportsbook you will gain access to many promotions. First of all will they offer you a £25 free bet to try out their bookie. But that is not all. After you have settled in, they will make it so that you can watch every game you bet on. Thats right, they offer live streams of the most popular sports in the UK. If you feel you want to try some of their other games online, they offer 100% £150 bonus in the casino and £25 bonus on bingo. 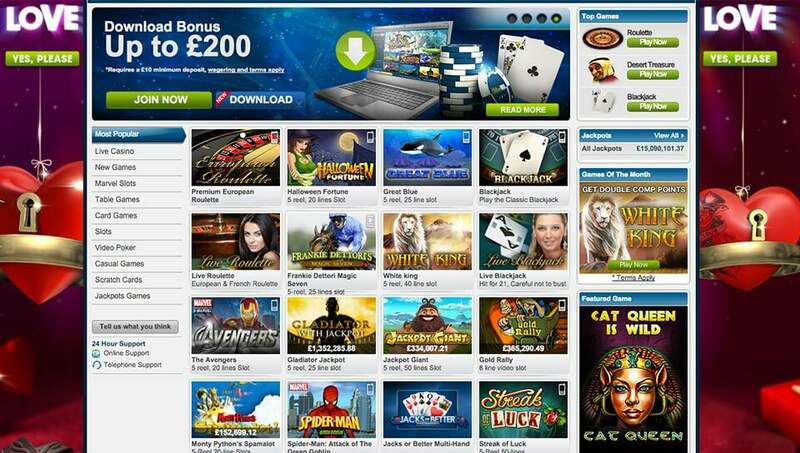 William Hill will have something for everyone and you will be rewarded for playing at their site. If you are in need of assistance, William Hill will help you. They have 24 hours a day available support for their loyal users. You can choose your preferred method of contact as well, instant chat, email or phone (which is free by the way). Support is also very friendly and are there to help you with everything from creating an account and depositing to placing a bet on your preferred wager. Given that they are situated in the UK makes all of their staff fluent in English, so it helps being able to communicate in their native language. When depositing at William Hill, you can choose between a wide array of methods: Visa, MasterCard, ClickandBuy, Bank Transfer, Cheque, Neteller, Moneybookers/Skrill, PayPal and many many others. You also can deposit in many different currencies, to suit your specific needs. We here at OnlineCricketBetting.net heartily recommend depositing there using NETeller, an easy to use internet wallet. To get the best online gambling experience, you should look no further than to William Hill. Their long lasting tenure in the business stands as a testament to their integrity and sound business approach to the industry and will make sure that your adventures in online gambling will be a pleasent one.